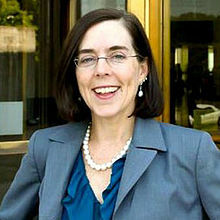 Responding to the revelations from Willamette Week discussed in the previous post to this blog, Oregon Gov. Kate Brown has ordered an "independent review" of the state foster care system and promised to create a "task force" to guide it. Wow. An independent review and a task force. She really must be serious. Not one word about the real problem: Oregon takes away far too many children needlessly (again, see the discussion in the previous post). But there was one interesting revelation at the hearing. Apparently, in Oregon there are two different standards for determining if someone has committed child abuse, one for parents, and another when the state is the parent. In 2014, more than half of complaints were ruled closed during an initial screening, in part because state law strictly limits investigations, usually to cases involving serious injury or an ongoing threat. A story in the Salem Statesman Journal says this definition applies to "abuse at the state's foster homes." ‘Neglect’ means negligent treatment or maltreatment of a child, including the failure to provide adequate food, clothing, shelter, medical treatment, or supervision. With a definition like that, there is hardly an impoverished parent in Oregon who couldn't be labeled neglectful at some point. Somewhere along the line, someone in Oregon apparently figured this out - because, it seems, Oregon officials are not about to let such a broad, vague definition apply when they are the ones responsible for the placement. The news accounts don't specify exactly what the definition of abuse is when it happens in foster care, so I don't know if that definition needs to be broadened, as one Oregon legislator is proposing. But the definition that applies to all other Oregon parents needs to be narrowed. And, of course, the definitions should be the same. Perhaps the task force could get to work on that. And if that's too much for a mere task force, how about a "blue ribbon commission"?